In the last two weeks a total of 117 fresh projects have been released, thus I spread them over two crowdfunding collections. Among the dice I like the design of the SkullSplitter ones, if you want to see a tabletop rpg related project going of like a rocket, check the Critical Role projects The Legend of Vox Machina Animated Special. I consider the Draugr & Draculas OSR zine at least interesting. This part focuses more on English projects. For example the RPG in a magazine Dangerous Times: Muckrakers and Magic in Old New York!. The game is set in a literally magical New York in the 20ties and the players assume the role of journalists trying to find a story. I like the setting, the idea and I backed it. Another game I backed is LIFTS, though it has a quite different approach, integrating fitness into the game. If you like to focus more on training your mind and STEM capabilities, check out STEAM Hack. In regards to Urban „Fantasy“ or rather games set in contemporary kinds you should take a look at the second edition of Mercenaries Spies & Private Eyes or at Hidden Worlds and Justice Velocity. If you prefer your fantasy to be more classical check out the remastered edition of Basic and Expert RPG Sets Remastered! and secondedition of Wraith Recon, the dark fantasy approach of GODS or the games The World After and NEMESYN. 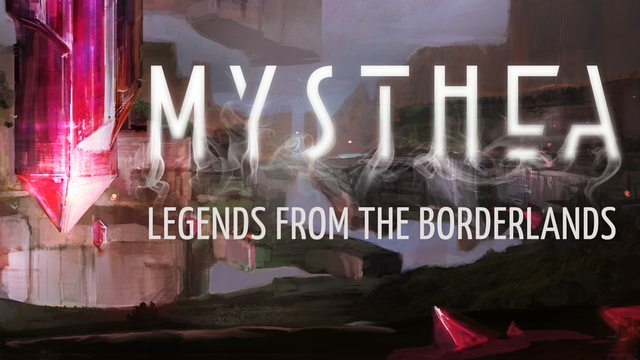 Mysthea: Legends From the Borderlands is a PBTA game about divided loyalties and post-war rebuilding in a geomantic fantasy world. We've built on the core setup for Legacy, with players controlling a House working to rebuild this city as well as a ground-level hero getting caught up in the city's drama and conflicts. As you play you'll build up your map of the city, master the strange arcane arts of Qoam crystals, and deal with your patron's agendas for this land. It's a little bit Dragon Age 2, a little bit Final Fantasy 12, and a little bit Steven Universe, and I'm very excited to see how this campaign goes! Temple of the Blood Moth - "A science-fantasy horror dungeon for Old School versions of Dungeons & Dragons." Whispers in the Dark - "An RPG zine filled with horrifying tables to help a GM add a sense of eeriness to any game!" The Tomb of Black Sand - "A dungeon crawl zine made for new school tabletop RPGs, but with old school sensibilities." Hair Metal Horror: Glam Metal Horror RPG Zines - "Three 80's Glam Metal Horror RPG Zines with chilling adventures and Quick-Play rules based on Blades in the Dark by John Harper." For Glory #1, The Hexanomicon - "A zine of tools for the Dungeon Crawl Classics table top role playing game." Desert Dwellers - "An OSR Zine Bestiette"
Strange New World Gazetteer: Weird Colonial Roleplaying Zine - "An RPG and OSR setting zine for adventuring in a strange fantasy version of colonial America. Fearsome creatures, witchcraft and weird." The Isle of the Amazons - "2 issue Setting for Untold Adventure and other White Box based OSR RPGs." Fools Haven Adventure Pack - A darkly comedic RPG setting - "Guides and Resources for Roleplaying in the Vague World in Zine format"
Fantastic Tales of Two Cities - "A Flip-Book RPG Zine for Fantasy AND Superhero Campaigns"
Chthonic Cornbelt: An 80s RPG Zine - "A role-playing zine about a weird little town near the armpit of America, featuring declassified and irreverent confabulations." Xboat: a Traveller RPG 'zine - "A fanzine supporting the Traveller role-playing game." Metal Gods of Ur-Hadad Zine Returns! - "Four years in the making, the original Metal Gods team returns for three more issues of metal-fueled mayhem for the DCC RPG"
Draugr & Draculas - "An old-school RPG zine about undead vikings and vampires"
Dino Wranglers - "A pick-up-and-play narrative RPG for families about overcoming obstacles as a dinosaur wrangler." Oh, hey, thanks, Teylen! I was about to post METAL WORLD here and I saw you've given it a mention! I also appreciate that you took care to spell it in all caps! 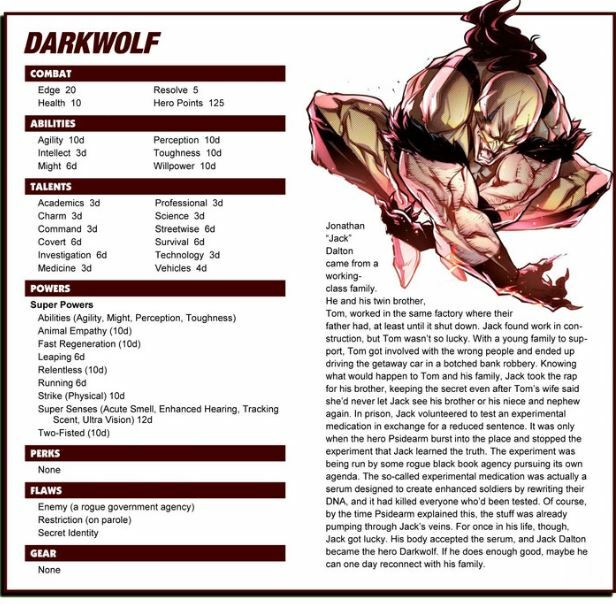 As mentioned, METAL WORLD is a heavy metal-themed TTRPG that I describe as what D&D would be if Ronnie James Dio had written it. It strips down the rules to the raw essentials (basically, anything that's definitely going to come up sooner or later), allowing you to make basically any kind of character your Metal Lord will allow. The whole idea is the freedom to create the play experience you want without being constrained by the rigidity of classes, skill lists, and the like. You decide what your skills, your Good Thing(s) (advantages), and your Bad Thing(s) (disadvantages) cover. You want to make a standard fantasy barbarian? Of course you can do that! You want to make him a cy-barbarian instead, with a night-vision eye and a laser axe? You can do that too! Robot wizard? Sure! Genetic engineer/mad scientist gnome? Man, that's a defined species (or, in METAL WORLD's terminology a "template")! The semi-living child of two undead? Yeah, that's another template! In METAL WORLD, the environment is as gonzo as you'd imagine, covering the breadth of heavy metal as a genre with the vast spirit of the publication Heavy Metal thrown in for good measure. The landscape contains a demon-possessed lawman riding a rocket-powered robot horse, an undead ship made of the bodies of dead sailors, Hell not just as an afterlife but also a continent you can casually visit, and a volcano made of dragons. Yes, that's a volcano that— when it erupts— shoots lava and more dragons. You can get a sweet ride from Motorhead, party it up in Glamm, brave the brutal weather of the Howling Plains, meet the robots of Cold Steel Harbor, go on a wilderness adventure in the Forest of Dom-Tarr, resist a military dictatorship in Raptoria, meet the four Northern Kings in their frozen halls, explore the depths of the Midnight Sea or sail across the Sea of Light, or travel to one of the seven Atlantises that exist beneath the waves. METAL WORLD runs on its own unique system with five main stats: Death, Power, Prog, Speed, and Thrash. You pick a character concept, a template other than standard human (dwarf, robot, graveborn, cyborg, mutant, etc.) if you care to, select three skills, one or two Good Things and one or two Bad Things— with your Good and Bad Things balancing each other out— and off you go to make The Gods™ ask each other "Are you seeing this?" You can run the game in any tone you care to, from power metal's general sense of excitement and adventure to doom metal's crushing dread (great for horror-oriented games) all the way to absurd and affectionate genre parody of Metalocalypse and Gwar. The only limit to the game is your own imagination. Right, so about METAL WORLD. It turned out there'd been a death in the family that I wasn't yet aware of that happened the day before I launched. My brother came home on emergency leave from the Army (it's his stepdad; not also my stepdad) to see to matters and long story short I'm shaping up to be at least the co-personal representative (more modern term for "executor") of the estate, so I pulled the plug due to knowing I wasn't going to have time to devote to the campaign. At first I thought I could still manage but I (thankfully soon) realized that wasn't likely to be the case. I plan on coming back around in a few months to try again, this time I'd hope without any more unfortunate circumstances interfering. You made the best call for you and your backers. My condolences on your loss.